Having written recently about the idea of focusing this blog on a few more niche topics, I’ve decided to begin what will hopefully be a regular series of posts about camping – or more specifically, camping with your family. It’s something we do quite a bit, and a topic on which I’ve got a lot of tips to share – and with ‘staycationing’ on the rise these days, something which a lot of you have probably considered. So, hopefully a helpful topic! I want to try to cover topics which will be particularly helpful to families with young children like mine, but hopefully there will be some tips and advice that even the most seasoned camper. So without further delay, let’s start at the beginning… preparation. So you’ve decided to take the family camping? It might seem unimportant now, but knowing what sort of facilities your campsite has can be a real boon when packing, particularly for the kids. If you’re staying for longer than a weekend for instance, you’ll probably want showers onsite. How many toilets are there, and how far away are they? You’ll definitely care more about this when the urge for a 2am wee strikes. Is there a shop onsite, and do they sell things like gas/fuel? Does the campsite allow open fires, or barbecues? Are pets allowed? You might not have a pet yourself, and may not want a fire – but if all your neighbours are taking advantage of these facilities, it may affect your stay too. Make sure the campsite has running water – or at least child bucket-carriers! I’ve lost count of the number of times we’ve had to push our car out of a wet, muddy field after the weather took a change for the worst. Making sure you’ve got pumped-up tyres with good grip can be a massive help in that situation. While you’re at it, make sure that you can still access all the emergency equipment once you’ve packed the boot – if you break down on the side of the motorway, you don’t want to have to unpack the entire car in order to access the warning triangle. 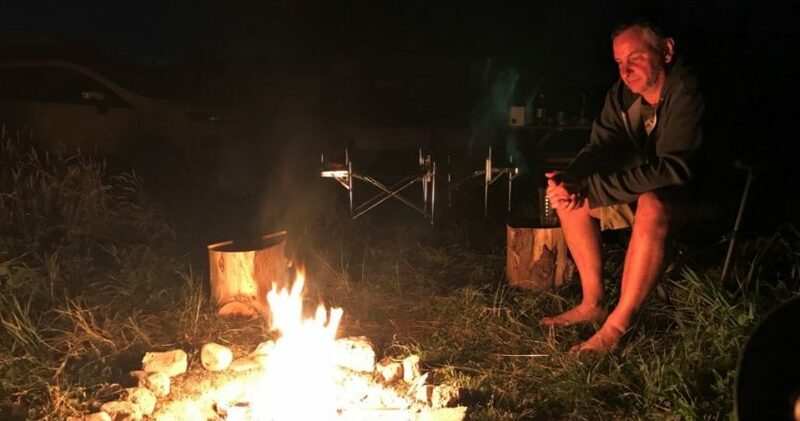 Obviously one of the big advantages of a camping holiday is how relaxing it can be just to mill around the tent – or explore the nearby surroundings. But even the most hardened camper will need to find something to do at times – and what about if the weather turns bad, and you don’t want to spend the entire time hiding in the tent? Do a bit of research on what else there is to do nearby – especially things you could do in bad weather. You’ll thank me later! By the time you’ve got to where you’re going, you’ve unpacked and erected your tent and figured everything out, you’re not going to want to spend hours cooking a fiddly and convoluted meal. And you’re bound to have worked up a hunger, too. So make life easier on yourselves and plan a simple first meal – either something you can make in advance like a pasta sauce, or something which doesn’t take too much prep. It’ll be a massive relief after a long day. I’ve said it before and I’ll say it again: you can never have too many lights when you’re camping. You might want to ‘get back to nature’ and appreciate the stars in the night sky, but you’ll want a good torch ready when you need to make a midnight trip to the loo block. And with kids in the tent, having a few lights around will make life a heck of a lot easier – we usually take an entire box of lights on our trips, with everything from head-torches to solar lights – and the odd glow-stick for good measure. The magic of glowsticks, as demonstrated beautifully by my brother and my niece. Unless you happen to have raised the most angelic children in the world, your kids – like all kids – will get bored easily. So ensuring they have plenty of things to do while you’re away could be the key to getting some peace and quiet of your own. Even more importantly, make sure some of it is in easy reach before you’ve unpacked – because having a child moaning that they’re bored while you struggle to put up the tent can be a very frustrating experience, let me tell you! I’m going to write another post about the items you can’t live without, but for now I’ll tell you this: never buy cheap camping chairs, as you will only regret it later. Invest in something which you’re going to be comfortable sitting in for a good stretch of time – and while you’re at it, consider buying a fold-out bed rather than an air mattress. Sure, it’s not so good if you’ve got to pack light, but if you’re camping for more than a weekend it’ll be a blessing. So there you – those are my tips to get you started. I’m sure there are plenty more – feel free to share you own in the comments below. I’ll be back soon to share some more tips for camping families. For me having a fire is a deal breaker. If we can’t have a camp fire I won’t go. I’m very fond of sitting by the fire in the dusk drinking wine and hoping the children will go to sleep one day soon. I’d freeze to death otherwise. You can’t beat a good blanket, Jess! And I’m coming to the same conclusion on the camp fire front – though it’s less of an issue for me in the height of summer. Excellent suggestions, sis! We always do the frozen meal one, and we definitely have the solar lights situation under control too. Good advice. We love a family camp (both on campsites and wild camps) so I’ll look forward to more of your camping posts.